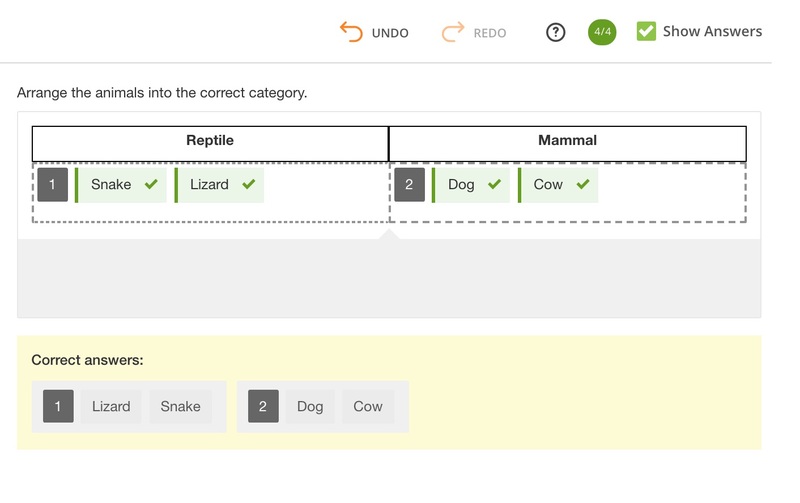 A classification question is a drag and drop type item that asks students to classify possible responses into specific cells in response to a stimulus. In the Compose Question field, write the instructions for the the student to follow. Decide how many columns and name them. Select how many rows to include. Type in the Possible responses for the students to choose from. These will appear below the columns. Click Add to add more columns or responses. Click the garbage icon to delete any. In the Set Correct Answers section, enter the point value for the question. Select and drag the possible responses to the correct column. 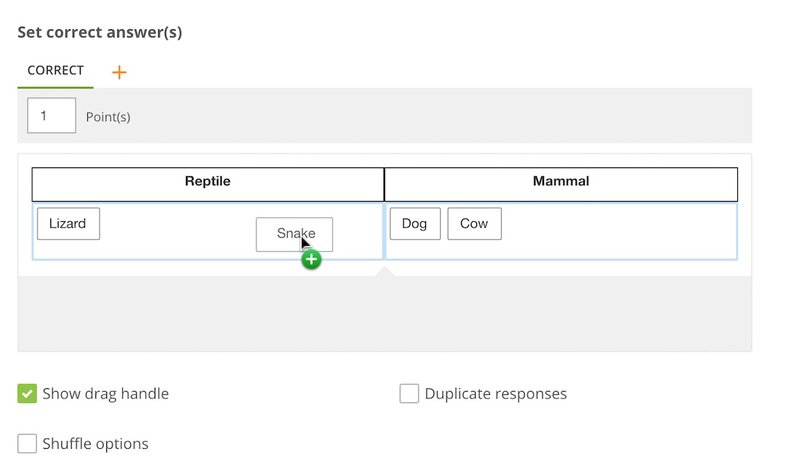 Select the box if you want to show drag handles, shuffle options or if there are duplicate responses. Click on the carat to show More Options. 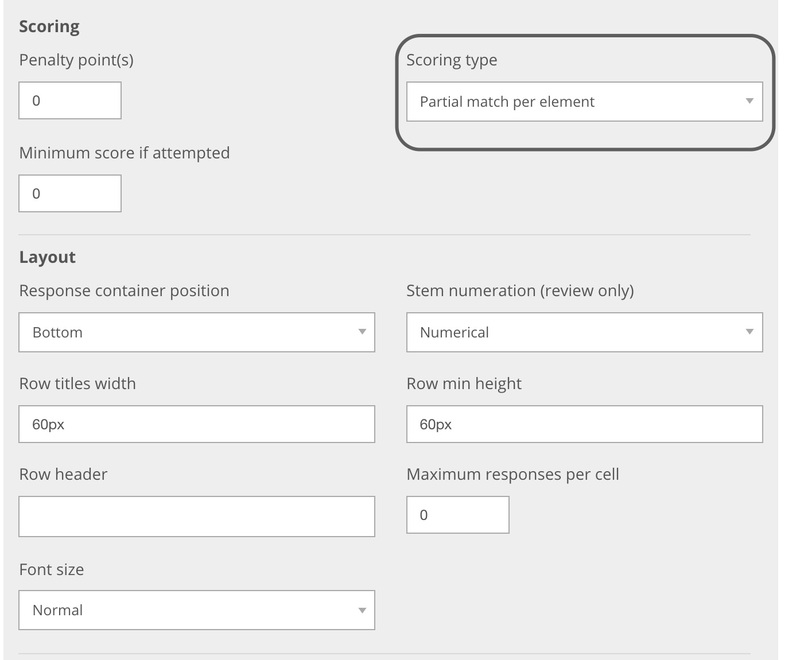 Select the scoring type of exact response, partial match per element or partial match per cell. 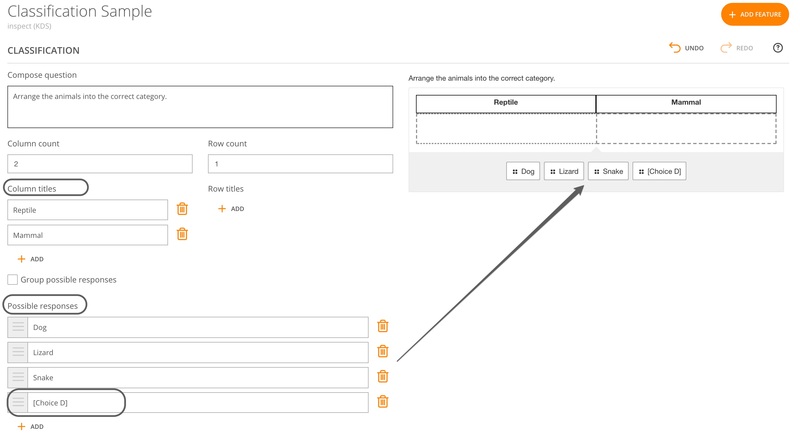 You also have the option to format the layout of the question. Before you publish the item, validate that the answers are functioning correctly. To do this, select the responses and drag them to cell in the preview pane and check the Show Answers box. Correct answers should be highlighted in green and incorrect answers should be highlighted in red.